After years where the main development in TV has revolved around improving picture resolution and quality, BT has now confirmed it will launch Dolby Atmos sound on its UHD service early in 2017. BT Sport 4k UHD's coverage of Liverpool v Chelsea on 31st January will become the first event to be broadcast with Dolby Atmos sound, meaning subscribers can benefit from better sound as well as picture. 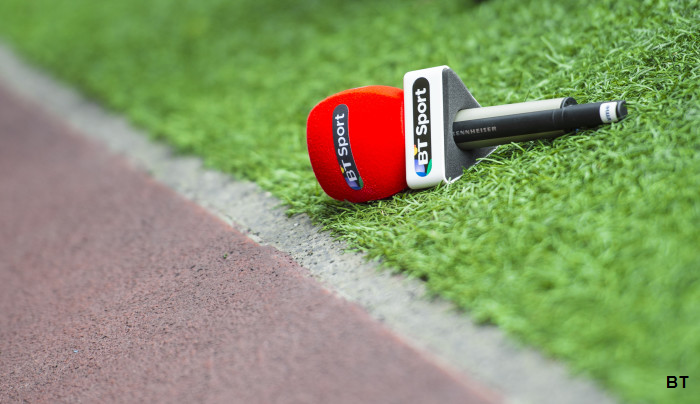 The match, taking place at Anfield at 8pm on Tuesday 31st January will be just the start: every following Premier League match broadcast on BT Sport will be available in UHD and Dolby Atmos sound, according to BT's plans. BT says that Dolby Atmos sound combined with UHD "will deliver the most immersive experience possible, allowing customers to feel as if they are in the stadium.". The service is available at no extra cost with BT TV's Total Entertainment Pack. BT Sport's UHD service is only available via BT TV.